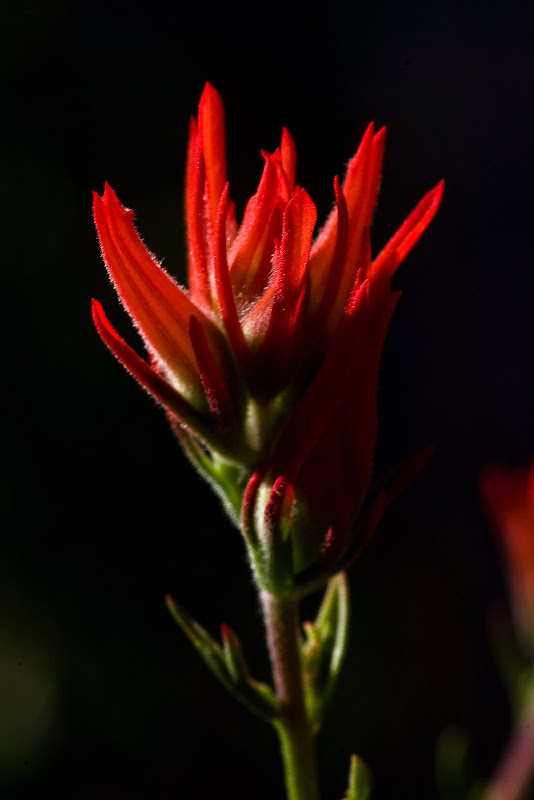 This is one of my favorite flowers in Zion, called Indian Paintbrush. It usually grows in bunches, and I find it difficult to photograph. Today I stumbled upon a solitary flower blooming in the shadows, with just a touch of sunlight illuminating it. The shadows help emphasize the individual petals of this unique flower.